There are a number of factors that need to be taken into consideration when we think about what communication entails. 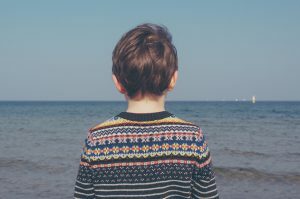 When we talk about children with ASD possibly being 90% visual and 10% auditory in their learning, then we need to develop strategies and approaches to ensure they have the opportunities to communicate in their individual way and ensure that they are not overwhelmed by the increased auditory stimulation of the classroom. Can write simple words eg. cat, dog and then advances to writing sentences and then essays. At the dinner table teach your child to set the table and that the fork is on the left and the spoon is on the right, mum is sitting on the left and dad is on the right etc. The communication experiences that you provide prior and during the primary years of schooling will help your child in their ability to understand the world more fully. By sharing strategies with the teacher you will enable your child to access the curriculum more fully.